Once again, the annual Denver Arts Week is upon us with a lengthy list of attractions. More than 300 events are squeezed into nine days from November 2nd-10th. This week(ish) is dedicated to all things artsy. There will be art premiers, comedy, performance art, music, free admission to Denver museums, and much more. This event is as much for the artists as it is for the audience and Denver’s art scene gets to show off everything it has to offer. Festivities begin with First Fridays on November 2nd. The numerous galleries throughout the Santa Fe, Belmar and Tennyson art districts will be offering great discounts all week. You can catch exciting premiers of the latest exhibitions from local artists. You might even have a chance to meet some of them. I cannot pile enough praise on our local art scene. The variety is mind boggling and every exhibition brings fresh concepts. Not all art can be hung on a wall or kept on a shelf. This week, Denver’s On Stage is presenting dozens of shows at local theaters. There are comedy shows, plays, operas, orchestra concerts, improv and dance performances. You can get discounted and sometimes free tickets on their website below. This is a great opportunity to check out some stuff you might not have been exposed to before. of Nature and Science, the Denver Botanic Gardens, The Denver art Museum, the Kirkland Museum, the Black American West Museum, and Museo de los Americas. Shuttles will be running four separate routes to minimize parking stress. Ample parking will be available at the Cultural Complex garage and the shuttle stop between the Denver Zoo and the Denver Museum of Nature and Science. Another huge part of Denver Arts Week is fashion week. It’s the largest fashion showcase of the year and feature emerging and international designers alongside local boutiques, models, and stylists. You can check out workshops on modeling, fashion, design and film, as well as interviews with costume designers, and of course, multiple fashion shows. Local designers include Rachel Marie Hurst, Steve Sells, Mondo Guerra and more. This is an annual celebration and exhibition of Denver’s vibrant artistic diversity. 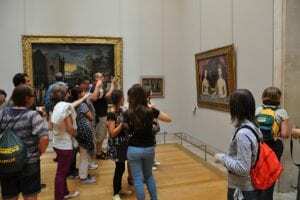 Take full advantage of all the museums, concerts, films, fashion shows and of course, art galleries. There are literally hundreds of special events happening all over the city. 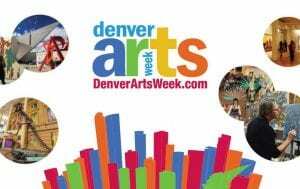 For more information and a comprehensive list of participating venues check out denverartsweek.org.